Wimech is a leading manufacturer of enclosures especially designed for electronics and consumer mechanics, as well as specialized equipment for the railway industry. We are a leading manufacturer of enclosures designed especially for electronic and mechanical devices. Our enclosures are made of black steel, stainless steel and aluminium. We have the knowledge and technological facilities that let us create products individually tailored to the client’s requirements. Our extensive technological offer and the quality of our products place us at the forefront of dedicated enclosure manufacturers. 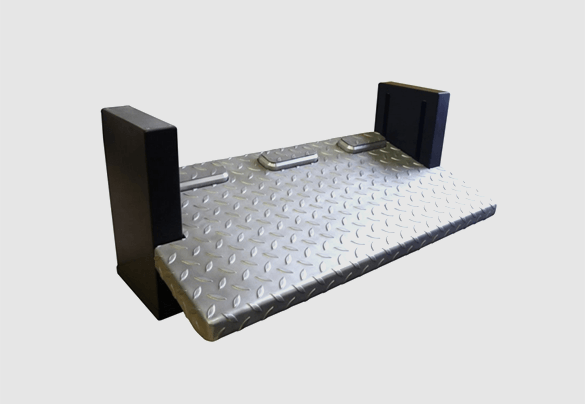 We are a manufacturer of an adjustable driver’s platforms for traditional and electric traction units. Our MS20024V platforms have been used in E6ACT Dragon and Griffin locomotives. The platform with adjustable footrest height affects directly the driver’s comfort. This is closely related to ensuring the proper visibility of tracks as well as of control and signalling devices. heated platform plate provides comfort during winter.